Fundraiser by Sean Nestor : Restore the Toledo Free Press Archives! Restore the Toledo Free Press Archives! Right now is a critical juncture for American journalism. Even as the work journalists do is routinely scorned, reviled and trivialized, many recognize that vigorous, credible, independent journalism is more crucial than ever and that preserving accurate historical records for future generations has never been more important. This national climate has led to reflection on the preservation of local journalistic history. Local media occupies a uniquely qualified position from which to investigate, interpret and inform. When any of these voices are silenced, the community suffers for the loss. One such local publication was Toledo Free Press. Thousands of stories were published in the publication’s 10-year lifespan, during which it was six times named Ohio’s Best Weekly Newspaper by the Society of Professional Journalists. Unfortunately, the publication’s 2015 closure resulted in the erasure of a decade of online local news reports, most of which cannot currently be reached or referenced. 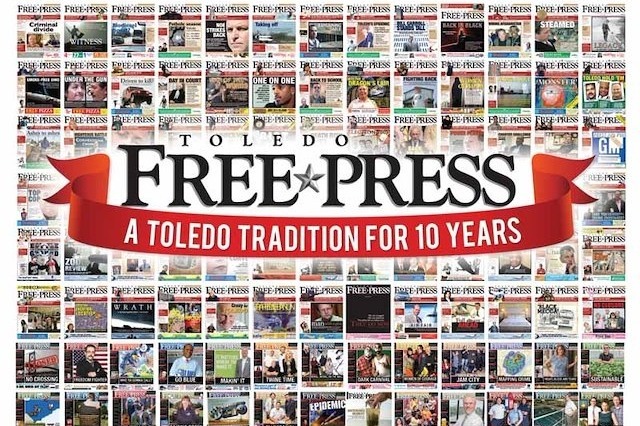 In response, local nonprofit Toledo Integrated Media Education has stepped forward, proposing a fundraiser to cover the restoration of the ToledoFreePress.com news archives as well as annual website hosting costs. TFP was founded in 2005 with the intention of being an independent, community-driven conduit for ideas, stories and conversation; a forum to showcase the quiet developments, slow progressions and hardworking people investing in Toledo and working for its citizens; a place to highlight positive stories, but also ask tough questions and call for accountability. Restoring this lost trove of local content will preserve the paper’s legacy while allowing local voices, stories and records to be freely accessible and searchable for future generations.